According to a report from Austrian antivirus and security experts AV-Comparatives, only one-third of Android antivirus apps actually give you effective antivirus protection. AV-Comparatives’ Android Test 2019 report shows how only 80 of the 250 most popular Android antivirus apps can detect over 30% of threats, with no false positive results. A false positive is when antivirus software incorrectly labels something as a threat when it is, in fact, safe. The report demonstrates that, despite the company’s efforts, Google still doesn’t have adequate quality control over the Play Store. What’s more, it shows just how dangerous downloading the wrong app can be for careless users. Which Apps Can I Trust? There are only 23 apps from the 250 tested by AV-Comparatives that managed to pass the company’s strict testing regimen with a perfect score. These 23 apps were able to correctly identify and deal with the more than 2,000 threats sent to them, with no false positives. AV-Comparatives considers “apps that block less than 30% of common Android threats to be ineffective/unsafe,” and found 170 of these, 138 of which are still available on the Play Store. Those that passed this fairly low bar, detecting above 30% of threats, brings the total number of useful apps up from 23 to 80 — and includes Google’s own antivirus software. Fortunately, the 23 apps that managed to identify 100% of threats includes a lot of big names in the world of antivirus — so you might be able to bundle these apps with any services you have on your home PCs. Why isn’t the Play Store Completely Safe? The Google Play Store is the biggest app store in the world, and is growing significantly quicker than the Apple App Store — back in 2017, almost twice as many apps were added to the Play Store compared to the App Store, according to AppFigures. This is largely thanks to Android’s open source design, basically meaning that anyone with enough know-how (which is easy to gain from online research) can create and publish their own apps. This can make the Play Store a bit of a wild west at times. That’s not to say that Google isn’t keeping an eye on the Play Store, it is, and it regularly removes shady apps. However, the issue here isn’t that these antivirus apps are malicious, they’re just a bit useless — and Google can’t remove an app just because it isn’t very good. What’s more, many of the poorer antivirus apps use the same core threat detection engine with only minor tweaks, meaning that it is very easy to reproduce them. This makes them very easy to reproduce, and leads to the large amount of bad antivirus apps. If you want to stay safe using your Android phone, make sure you download one of AV-Comparatives top-rated antivirus apps. Then combine it with a VPN like PureVPN to give you even stronger security. 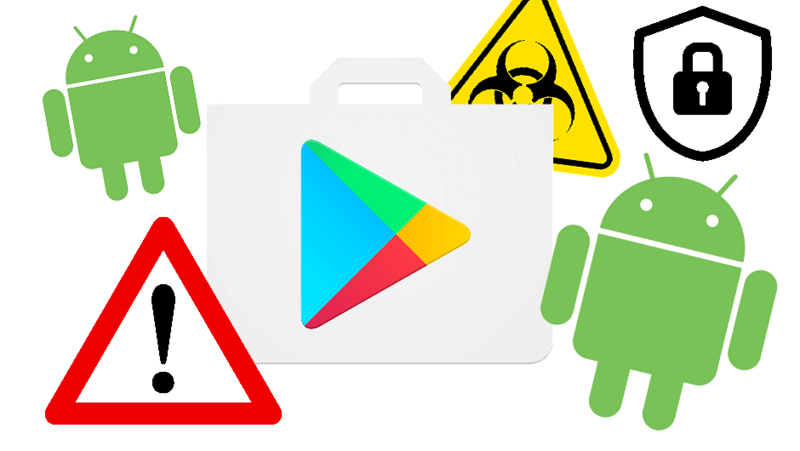 Security firm Trend Micro has found a cache of malicious apps on the Google Play store, masquerading as harmless photo programs. The apps have been downloaded millions of times, and serve users pop-up adverts or pornographic content, and also collect personal data and photos. Facebook and Google Went Down This Week – What Happened? Both Google and Facebook experienced lengthy outages this week, affecting their respective families of apps, including Instagram, Messenger, WhatsApp, Google Drive and Gmail. How did this happen and who did it affect most?